Our neighbor took a picture of our house the other evening after a rain storm. When I look at this picture it reminds me of all the reasons why I love where we live. I love our house...I love our friends...I love the school our children go to...I love our neighbors...I love that we can go swimming all summer long...I love all the wildlife that we see...I love that we can see so many stars at night...I love how quiet it is...I love how safe we feel...I love that we live "out in the country", but not really...I love everything about where we live!!!! My sister, Jayna "tagged" me... so here are 10 random things you might not know about me...not in any particular order. #1 I love to do laundry so much I try to do some every day!!! #2 I wish I was Jessica Seinfeld's new best friend. #3 I think about going to Disneyland...every day!!! 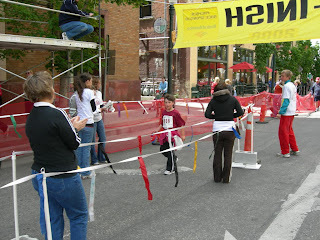 #5 I would love to run a half marathon someday. #6 I spend way too much time reading other people's blogs. Most of which, I have no idea who they are. #8 I leave the lights in our house off all day...unless someone comes over. I think I do that because I pay the electic bill. 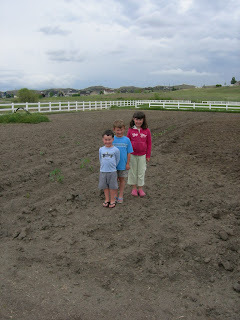 #9 I think I have THE FOUR CUTEST KIDS IN THE WORLD!!!!!!!!!! #10 My husband bought me a new cruiser electra bike for our #10 anniversary. It looks like this. He even got me the cutest basket that attaches on the front so I can carry all my good stuff! I didn't get him anything :( Anyone have any good ideas? I tag...Kara, Ashlee, Tiffany, Katie and Aimee. Our neighbor woke up this morning to find this in her backyard. She lives less than 100 yards away. We had heard that there was a cub and now we know there is a mom. Pretty amazing!!! Our family loves curry chicken. In fact, I think Andrew would have it every night if I'd cook it. Last night, I tried a new recipe and everyone really liked it. It isn't as spicy as our other recipe, so if you prefer less spice this may be the recipe for you! Cut up the chicken and put in a baking dish. Then mix the first 5 ingredients and drizzle over the chicken. Bake at 350 degrees for about 45 minutes. We ate it with rice and stir fry vegetables. This is our other favorite curry chicken recipe - it is pretty spicy!! Cut up the chicken and put in baking dish. Mix first 8 ingredients and drizzle over chicken. Bake at 350 degrees for about 45 minutes. 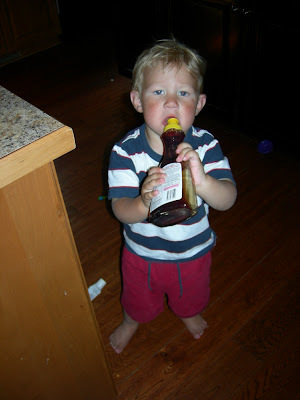 Came around the corner and caught Benjamin drinking the maple syrup just like he does water from a water bottle. It was sugar free - does that make it okay? 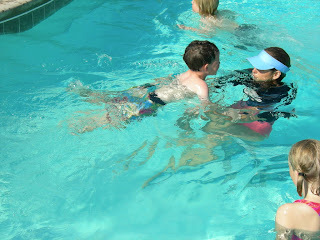 Sarah, Andrew and Spencer have all been taking swim lessons. The weather has been unpredictable so we have had to cancel and make up several lessons. 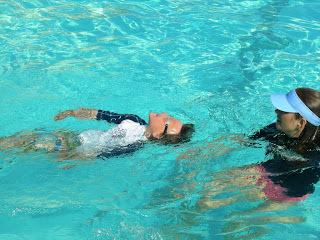 We have had Cathy Taylor for our teacher and we have been doing them at the Hidden Springs pool. 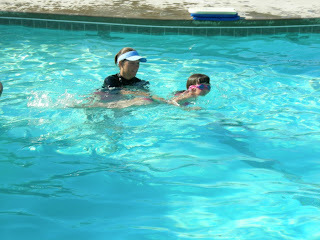 It has been so fun to take lessons with our friends and the kids have improved SO much!!! Let the warm weather begin!!! There is a wonderful couple in our ward, Julie and Bob Whiting who live on 10 acres and have one whole acre set aside for a garden. 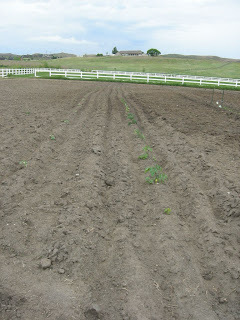 I asked if they needed help with the taking care of such a BIG garden and they offered to let us use 1/3 as they didn't think they would get the whole acre planted this year. So, Memorial day morning we headed to Home Depot and bought many plants and seeds and worked most of the morning planting. 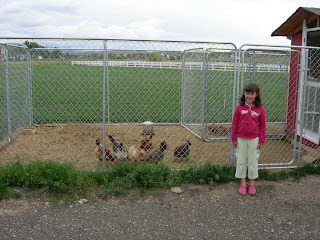 It was SO fun and the kids LOVE being at the Whitings!!!!! We are SO excited to take care and watch our garden grow! 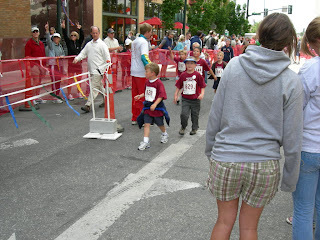 Sarah and Andrew ran in the St. Als Capitol Race on Saturday. Sarah ran with our friends Anne and Natalie and Andrew ran with Nathan. They both had a lot of fun and were glad that they did it!! 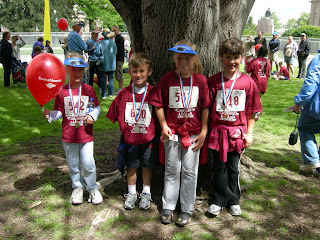 They got medals when they finished and LOTS of food! They both say that they want to do it next year!!! Way to go Sarah and Andrew! We are proud of you!!! 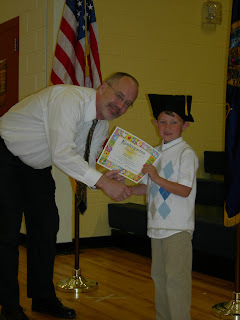 Andrew graduated from Kindergarten! It was a great ceremony! They sang a few songs and then were given their "diplomas" by the principal. 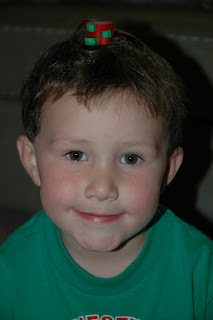 We had a little party afterwards and now Andrew is officially a FIRST GRADER!!! Dr. Montgomery giving Andrew his diploma. 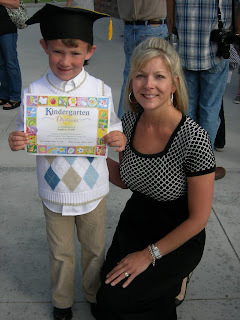 Mrs. Schubert was a wonderful teacher for Andrew! You are SO stink'in cute!! This is S-P-E-N-C-E-R!! 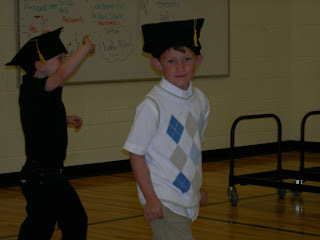 He has learned SO much this past year in preschool. 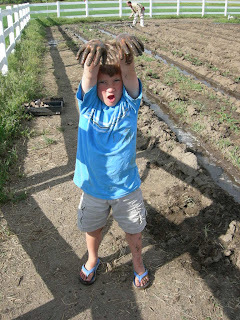 We have done a coop preschool with five other moms in the neighborhood and it has been fun for both the kids and the moms. 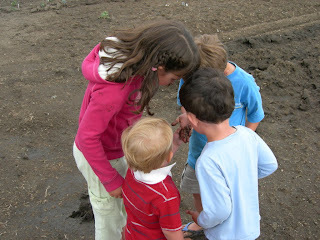 We hope we will continue our close friendships with all our preschool friends! !